Pet Emergency? Call us right away at 704-786-6669! Providing Preventive Care, Medical Diagnosis, Flea & Tick Control, Heartworm prevention and treatment, General and Laser Surgery, Dental cleaning and treatment, Geriatric screening and more! We are happy to offer a number of resources that enable you to learn about how to take better care of your pets. Please feel free to browse our site, particularly the informational articles. The best veterinary care for animals is ongoing nutrition and problem prevention, so becoming knowledgeable about preventative pet care is essential to the ongoing success of your animal’s health. If you have any questions, call 704-786-6669 or email us and we'll promptly get back to you. Our Concord veterinarian office is very easy to get to -- and you can find directions on our Contact Us page! We also welcome you to subscribe to our newsletter, which is created especially for Concord pet owners. Call for an appointment for your pet's Comprehensive Physical Exam. We have two doctors here and like to see you with scheduled appointments. That enables us to give each pet and client the attention they deserve. We strive to deliver medical care for your pet and communicate to you the impact, prognosis and strategy for dealing with any medical issues your pet may have. 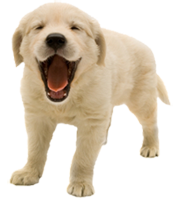 "We've been bringing our pets to Dr. Moore for more than 15 years and have always received caring and competent medical service. Molly is now 5 and has seen Dr. Moore's staff since she was 8 weeks old and I would not want her anywhere else. This is our 3rd pet with Animal Care Clinic and I recommend them to anyone looking for great veterinary care!" "Thank you so much for taking such good care of Sabrina! Being that she is a rescue kitten I was nervous about leaving her for surgery. After I spoke with you twice yesterday I knew I made the right choice. I enjoy taking my babies to your clinic and recommend to all my friends. It's a blessing to know that we are known when we come in and that everyone is so nice and helpful! We feel like family every time we go in! Great job guys!!"